Joined on July 18th 2018, last online on 10 April 2019. I'm reading DB manga just now. Is that Silverfang? I'm almost 100% sure, but he looks a bit different somehow. Yeah, he is. 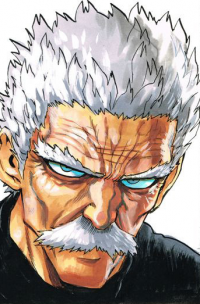 Maybe because of the color and details for his skin complexion made him looks older than in manga. LGBTDBZBBQ hasn't added any games yet!